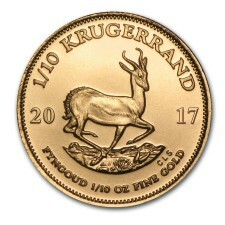 The South African Gold Krugerrand was the first gold bullion coin to be introduced on an international scale in the late 1960s. By 1980, 90% of the global gold coin market was dominated by the Krugerrand. This set off a chain reaction which led to the development of many of the sovereign minted bullion coins we have today. The Krugerrand is still going strong, and remains one of the most popular bullion coin choices of collectors and investors alike.